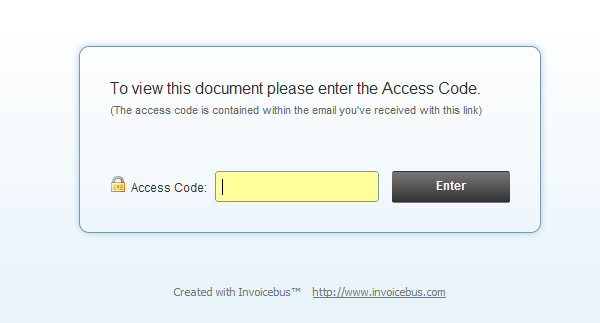 In the past couple of weeks we were working on a few improvements of the Invoicebus system. Before we apply them, there’re few things we believe you should know about. The updates will take effect on 18th of July, 2012, 12:15h CET 22th of July, 2012, 15h CET. Possible downtime: Less than 15 30 minutes. During the development, we wrote a short log of changes, so I’ll share that with you and thoroughly introduce you with all changes. 1. 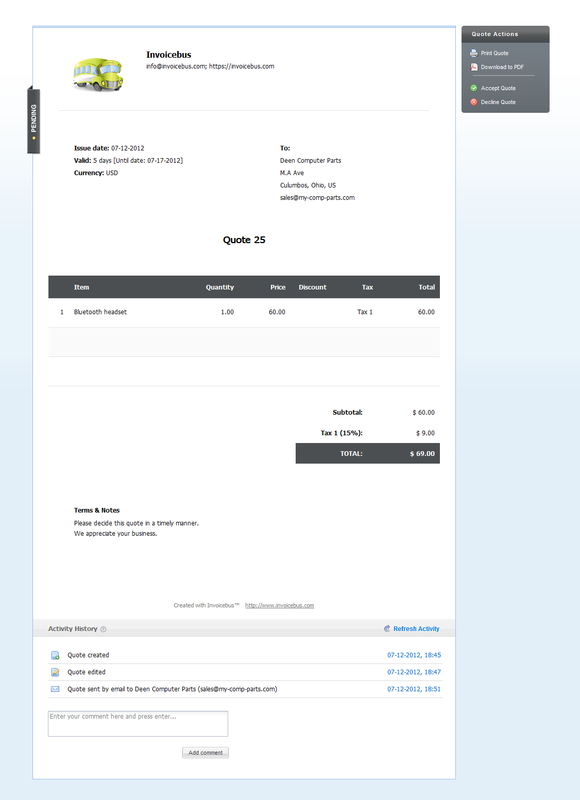 All emailed invoices/quotes can be accessed online in the browser by direct link. The invoice/quote content won’t be shown within the email body anymore (Please consider notifying your clients about this change). The link is automatically generated and included in the email right after your custom message. In order to open the link, the client will be prompted to enter access code (unique for every document, contained within the email as well). – New comment is left (if you left the comment, client is notified and vice versa). Resolved problem for ‘Document Viewed’ notification accuracy. Improved readability for email clients that don’t support HTML content. Comment notification checkbox (weather to notify the client about newly entered comment or not. Only for logged-in users).